Our Strategic Senior Advisors work with our Principals to create value within our investments. Mrs. Janet Hill is a Principal in Hill Family Advisors, where she oversees the family’s assets and investments. She retired as the co-owner and Vice President of Alexander & Associates, Inc., a corporate consulting firm in Washington, D.C. after 30 years in management and ownership. She provided corporate planning, advice and analyses to directors, executives and managers in the areas of human resource planning, corporate responsibility, corporate communications and government consultation. Mrs. Hill is a member of the Board of Directors of Echo360; The Wendy’s Company; Dean Foods, Inc.; and The Carlyle Group. Mrs. Hill is also Vice President of Hill Ventures, Inc., her son’s real estate investment business. Mrs. Hill is a Senior Advisor to Penta Mezzanine Fund, where her son is a Partner. Mrs. Hill has served on three boards from which she retired at the time of the sale of the underlying companies: Tambrands, Inc. (which was sold to Proctor & Gamble); Security Capital Group, Inc. (which was sold to G.E. Capital); and Houghton Mifflin Company (which was sold to Vivendi International). She served as a public member of the New York Cotton Exchange for four years ending in 1992. Mrs. Hill is a member of the Board of Trustees of Duke University. She also serves on the Knight Commission on Intercollegiate Athletics. She is a member of the Board of the BCS Military Bowl. Mrs. Hill was the Special Assistant to the Secretary of the Army from 1977 – 1981. She advised the Secretary on specific positions prior to policy decisions, formulated programs to improve and enhance soldier quality of life, prepared speeches for public presentation and testimony for Congressional Hearings, served as a liaison to the Office of the Secretary of Defense, the White House, Congress and other government agencies; and prepared briefing and position papers on issues affecting soldiers, material readiness and operations and maintenance. Prior to her work for the Army, Mrs. Hill provided mathematical research for a private consulting firm in the Washington, D.C. area. She was responsible for data analysis regarding ambient noise levels and shipping distributions; coordination and analysis of technical evaluations of noise levels in the perfection of sonar detection systems; design of ship movement models under contract to the U.S. Navy; the research and editing of environmental regional assessments in the Northeast Pacific and Northeast Atlantic for various Navy intelligence units; and the development of computer programs to evaluate data on Soviet submarine surveillance. Mark Ferraro, co-founded and headed up the TMC Companies in 1985, which acquired, entitled, constructed and sold real estate projects throughout Southern California. The group’s urban infill division developed apartments, shopping centers and single-family housing. Large-scale master-planned community projects were undertaken in the group’s Communities division, which at its peak, controlled over 5,000 acres of land with entitlements for approximately 14,000 residential units, one million square feet of retail, commercial and hotel uses, and four golf courses. In 1993, Mr. Ferraro shifted the group’s business strategy from direct development to equity investment by establishing TMC America, LLC, of which he serves as president. Under his guidance, the company has placed and managed, on behalf of domestic and international investors, in excess of $180 million of equity capital into projects with a build out value in excess of $2.8 billion. Prior to his founding of the TMC Companies, Mr. Ferraro held the position of senior advisor at the highly respected real estate consulting firm Tarantello & Company of Newport Beach. In that capacity he advised clients with respect to their real property holdings, including highest and best use studies, property valuations, pricing studies, and land development strategies. Mr. Ferraro’s clients included General American Life, Mobil Land Development and the Warmington Companies. Mr. Ferraro holds a Bachelor of Science degree in finance with a real estate emphasis from California State University, Long Beach, and is a licensed California real estate broker. 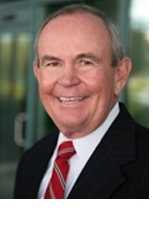 He has been a member and frequent conference speaker at, the Building Industry Association of Southern California, and has sat on various company and non-profit boards such as The Real Estate Development Advisory Network, Aseptic Solutions, LLC, the Pacific Symphony Orchestra, and Bibles for America. Mr. Ferraro lives with his wife and three children in Irvine, California. Brian J. Panish is a partner in the Law Firm of Panish, Shea & Boyle, LLP, and considered one of the top trial attorneys in America. Panish, Shea & Boyle was named one of the top ten firms in America by the National Law Journal. In 2010 Brian was named CAL-ABOTA Trial Lawyer of the Year and he also received the Champions of Justice Award from Loyola Law School. In 2008 he was named by the National Law Journal as one of the 100 most Influential Attorneys in America. Previously, he was named one of the Nation’s Top Ten Litigators by the National Law Journal and to the National Law Journal’s Hall of Fame. He has been named by Daily Journal as one of the 100 Most Influential Attorneys in the State of California and was also named Lawyer of the Year by O’Brien’s Verdictum Juris and O’Brien’s Evaluator. He is also listed in Best Lawyers in America and named Personal Injury Attorney of the Year in 2009. He has been named by Law Dragon as one of the top 500 lawyers in America. In 1999, he was named Trial Lawyer of the Year by the Consumer Attorneys Association of Los Angeles. Mr. Panish has obtained more than 200 multi-million dollar verdicts and settlements including nineteen (19) jury verdicts in excess of Ten Million Dollars (10,000,000). In Anderson v. General Motors, he obtained a jury verdict of $4,907,321, at that time the largest personal injury and product liability verdict in history. He served as one of the lawyers for the County of Los Angeles in the 3.3 Billion Dollars settlement with Big Tobacco. In Lampe vs Continental General Tire, he obtained a jury verdict of $55,421,000, the largest jury verdict ever obtained in a tread separation case in America. In 2004, he obtained three (3) jury verdicts in excess of Ten Million Dollars ($10,000,000) including $58,137,361 in Griggs v. West- Pac the highest single plaintiff personal injury verdict in California history for a severely burned heavy equipment operator. In Dominguez/Valencia v. City and County of San Francisco, he obtained a verdict of $27,300,000 for the death of a four year old girl and injuries suffered by her mother and friends. It is the largest verdict ever against the City and County of San Francisco. In 2008, in Tilton vs. Sempra Energy, he obtained a jury verdict of $15,000,000 for a 17 year old who suffered a closed head injury. In 2009, in Nelsen v. Hillyard, he obtained a jury verdict of $21,067,093.53, for a 29 year old Iraqi veteran, who suffered a fractured femur leading to a stroke. In 2011, in Curiel v. SSA Marine, he obtained a verdict of $14,000,000 for a a worker injured in the Los Angeles Harbor and a $17,000,000 verdict against the MTA for a 42 year old blind man who was killed when attempting to board a train. He is a Fellow in The American College of Trial Lawyers, American Board of Trial Advocates Diplomate (President Los Angeles Chapter). He is a Member of the Inner Circle of Advocates (limited to 100 of the Best Plaintiff Lawyers in America), International Society of Barristers and Attorneys Information Exchange Group. He received his B.S. from California State University, Fresno, where he was named Scholar Athlete and was the recipient of Athletic Directors Award. He recently received the Top Dog Award as an outstanding alumnus during Fresno State’s Centennial (100) Year Anniversary. Mr. Panish received his J.D. with honors from Southwestern Law School. The former managing director of Universal Parks and Resorts, and the former chief operating officer for Toys “R” Us, where he implemented new business strategies, technologies, processes and disciplines throughout the entire corporation. He is also a member of the American Medical Association (AMA) Board of Trustees (BOT). Mr. Kay is the chief operating officer for the Trust for Public Land (TPL), a national tax-exempt organization that conserves land for people to enjoy as parks, playgrounds, community gardens, farms, historic places and wilderness. Mr. Kay practiced law for 24 years, handling cases ranging from complex business litigation to corporate mergers and large real estate transactions. Mr. Kay has served as a member of the board of directors of a number of charitable organizations, including the PGA Caddie Foundation (which he co-founded along with Mark O’Meara, a professional golfer), the Toys “R” Us Children’s Fund, the Florida Citrus Sports Association and the Universal Studios Florida Foundation. He is a graduate of the University of Missouri and received his JD from the Duke University School of Law. He is a board-certified trial lawyer and a board-certified business litigator, as well as a fellow in the American Bar Foundation. 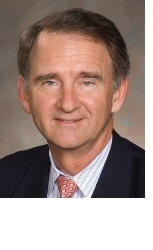 Held the title of Vice Chairman of Raymond James Financial, Inc. as well as Executive Vice President of Raymond James & Associates, Inc., Mr. Shuck was also a Trustee and Executive Committee Member of the National Endowment for Financial Education in Denver. Mr. Shuck is also a former Long Range Development Committee Member for the Florida Council on Economic Education, a former Sales and Marketing Committee Member of the Security Industry Association, a Director of the International Association for Financial Planning and former Policy Board Member of the Tampa Bay Partnership for Regional Economic Development. He began his career with Ernst & Ernst and as a Controller for John M. Smythe Co. He held the designation of Certified Financial Planner and was a Certified Public Accountant license holder in the State of Illinois. 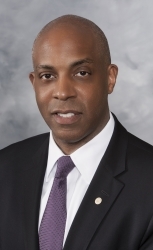 President of Investment Advisors, Inc., and Triple J. Ranch Inc. Mr. Johnson is a past President of the Florida Bankers Association and the American Bankers Association. He also served on the University of Florida Warrington College of Business Advisory Council. He is presently President of the University of Florida Gator Boosters, Inc. He has served on the Salvation Army Service Committee and as Chairman of the Trustees of Saint Leo University, St. Leo, Florida. He was inducted into the Tampa Bay Business Hall of Fame and was a Board member of the Fannie Mae National Advisory Council. He is involved in numerous other professional, fraternal, and community organizations. 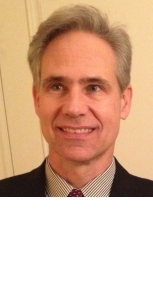 He also serves as a Member of the Advisory Board at Hyde Park Capital Partners, LLC. 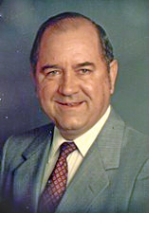 Mr. Johnson graduated from the University of Florida with a Bachelor of Industrial Engineering with High Honors in 1958, and is a U.S. Army Veteran, having served as a Counter-Intelligence Officer at U.S. Army Europe Headquarters, Heidelberg, Germany. He received a Juris Doctor from Birmingham School of Law in 1965 and is a member of the Alabama Bar and the Bar of the United States Supreme Court. He is a 1968 graduate of the Stonier Graduate School of Banking, Rutgers University.